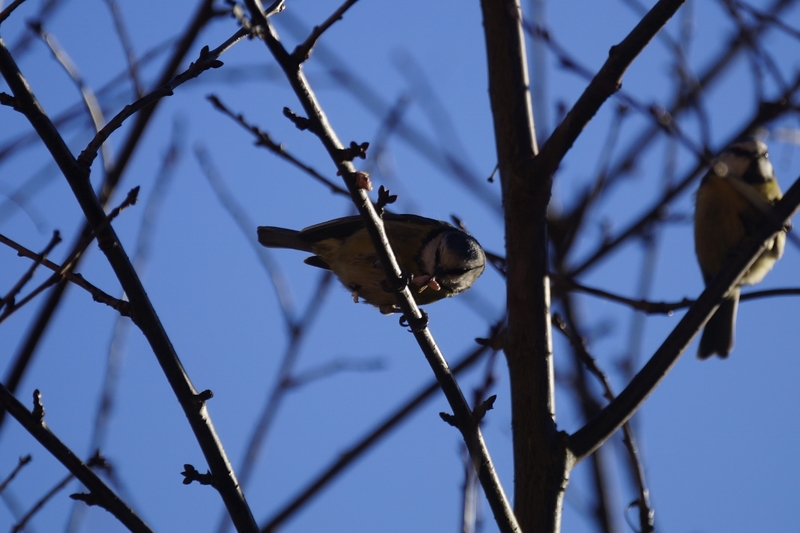 Big Garden Birdwatch 2019 – Feast to famine | Why watch wildlife? 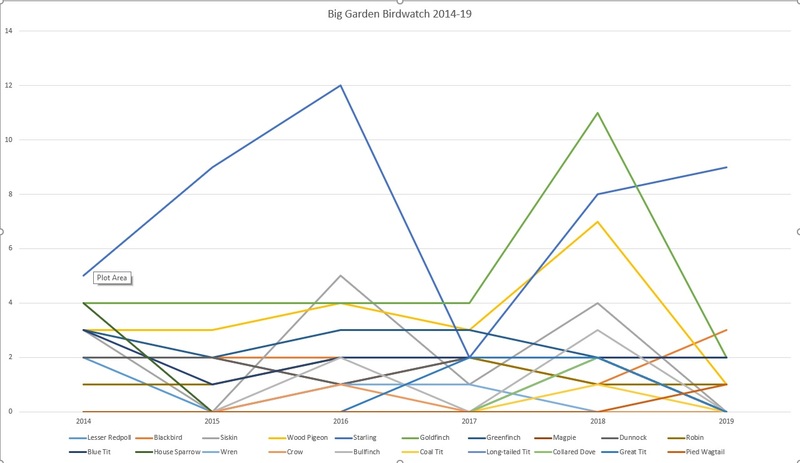 In terms of both number of species, and total species seen, this is the worst year of the six we’ve done in this garden. I think probably the lowest I’ve ever done anywhere, in fact. Amazing to think this time last year we were celebrating record highs. 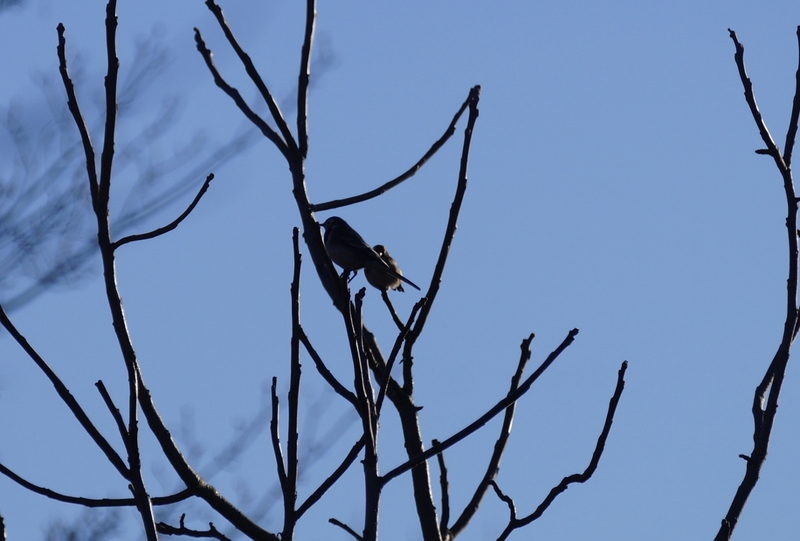 There were no redpolls or siskins, which isn’t a particular shock. But for the first time ever we had no greenfinches, magpies, or dunnocks. 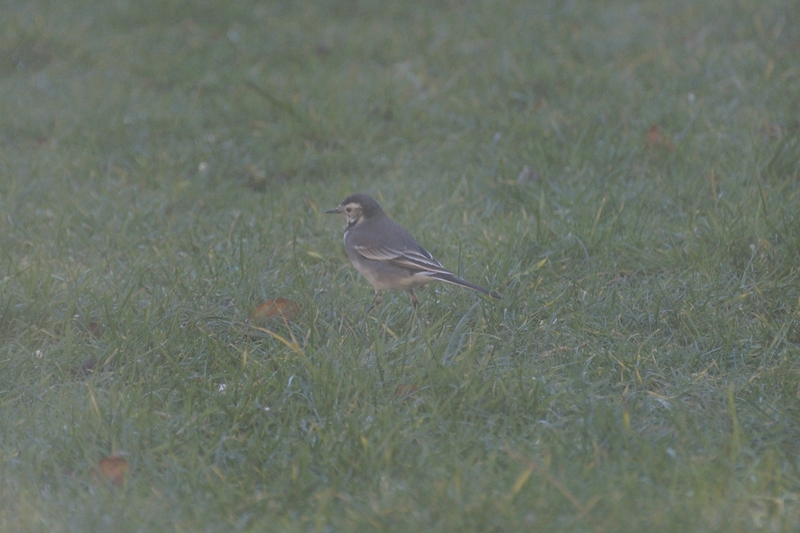 There was however one new addition, with a female pied wagtail hanging around. We’d never had them in the garden until last year’s March madness, so it’s interesting to see one back this winter. After two years as our most numerous bird, goldfinches dropped back behind starlings, with just two of the former, by comparison to eleven last year and a six year average of 4.8. There were nine starlings, which holds up well against their average of 7.5. Three blackbirds was a minor record high too, against an average of two. Every other regular was down on their six year average, even the likes of wood pigeons, which we usually see three or four, and last year saw seven. Seven species recorded is down from the average of 11.3, and record high last year of fifteen. Nineteen individuals is down from the average of 32.5, and way down on last year’s record high of fifty! So what’s happening? My hypothesis, and it will be interesting to see what the national results say, is that the long hot summer has meant plenty of energy stored on trees and other plants in terms of fruits and seeds. So with abundant natural food, the garden feeders are just not so essential. A prolonged cold snap will soon change that, but for now it’s going to stay quiet. Locally, we’ve had a lot more cat presence this past few months, and I wonder if that may have put birds on edge. Although both the cats we see are young, and terrible hunters, and little real threat at the moment. I expect we’ll see national drops too, but it remains to be seen. Did anyone else see big declines this year? What do you think was the cause? 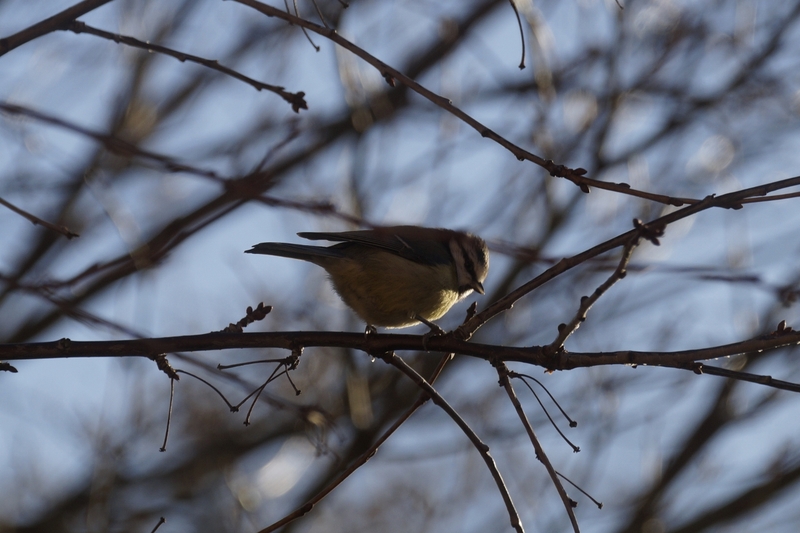 This entry was posted in Big Garden Birdwatch, Birds and tagged Big Garden Birdwatch. Bookmark the permalink. Pingback: Avian Keratin Disorder | Why watch wildlife? I haven’t got other years to compare it to – this is the first time I’ve put feeders out in our new garden – but the birds don’t seem that interested. Not even the suet balls get many takers!